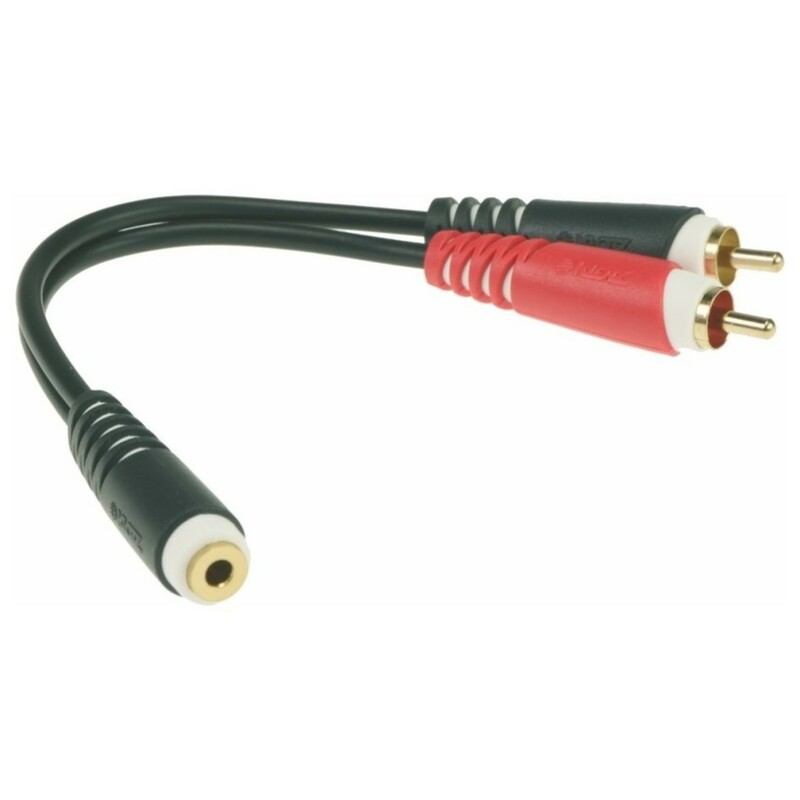 The Klotz Short Y-Cable 3.5mm Stereo - Twin RCA Cable allows you to split your audio signals from a 3.5mm stereo socket into separate left and right RCA channels. Featuring a gold-plated female stereo 3.5mm jack socket at one end, and gold-plated RCA connectors at the other, the Klotz Y-Cable ensures astounding signal flow with a flexible and durable design. The short design of the Short Y-Cable enables easy and tidy connections between cables or devices whilst retaining the flexibility, durability, and performance of the longer cables.